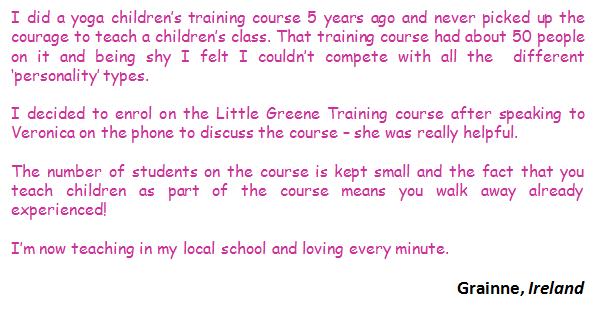 Little Greene Yoga - Kids Yoga Teacher Training Program in Scotland, Jersey, Channel Islands and Ireland. 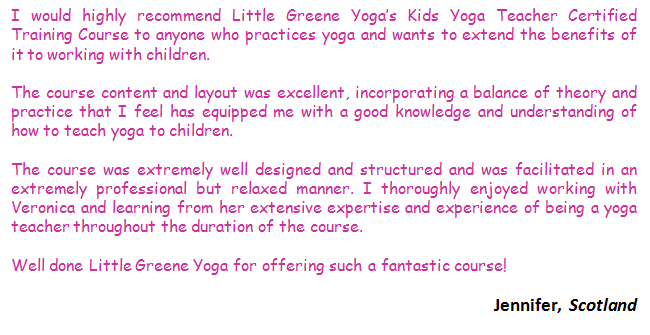 It is suitable for yoga teacher and trainees from all yoga traditions who wish to learn how to adapt their knowledge to be able to teach a successful children’s yoga class. 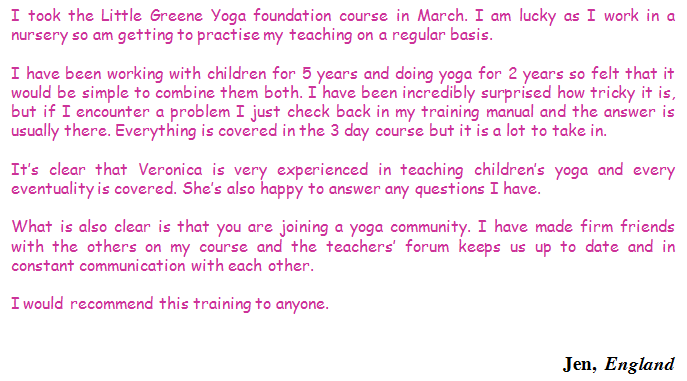 Applications are welcomed from school teachers, health professionals and early years educators who want to bring the benefits of yoga to their classrooms.